Advent is a gift of time Christians take to stop, take deep breaths and anticipate the full glory of Jesus’ coming. It can be a profoundly moving and beautiful time; if not a welcome interruption to the busyness of the season. This is your invitation to find some sacred space and join others this Christmas. Each Sunday you will receive a devotional email leading all the way up to Christmas Day. Each email includes a reflection, Bible reading and a short prayer. You will also be given the opportunity to do some fun Christmas acts of random kindness. It really is up to you. You are in control of your own time. You will just need to plan for it. No! The only cost comes with your own commitment of time. 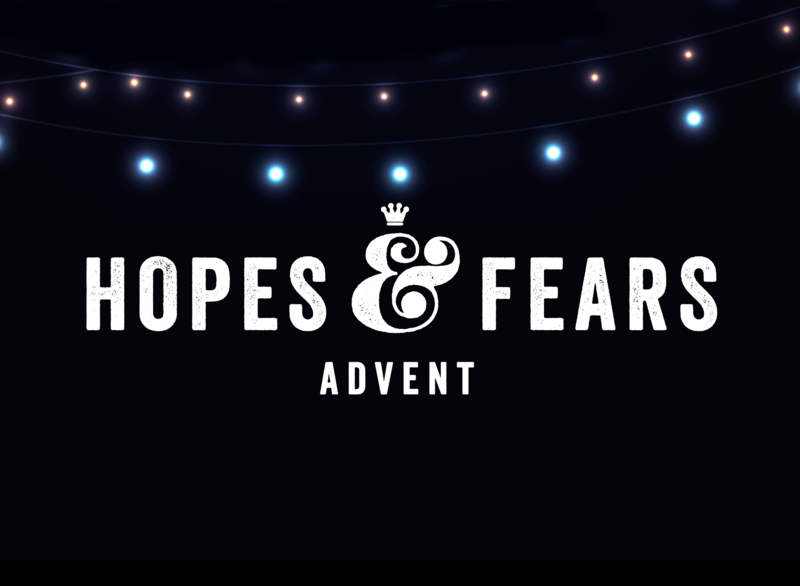 Can I invite my friends and family to be part of Hope & Fears? You bet! You can either do it as an individual, a couple, as a small group or with your family or friends. Do I have to be part of Stour Valley Vineyard? No! We love giving away our stuff for free. What if I sign up and change my mind? You can unsubscribe at any time. But don’t quit because you suddenly feel challenged. It might just be the Lord speaking to you! Try and stick with it! Your first email will be sent on Advent Sunday: 2nd December. You will then receive an email each Sunday leading up to Christmas Day. Hope you are feeling the love!